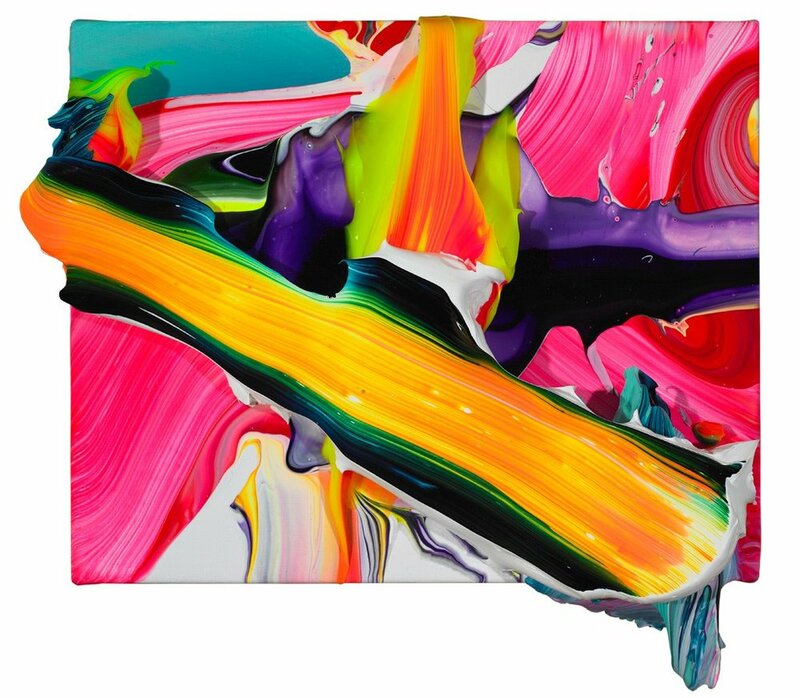 Yago Hortal is a contemporary Spanish painter known for his vibrant paintings inspired by Abstract Expressionism. Born in Barcelona, Spain in 1983, Hortal has said: “I look for a balance between chaos and order, something like a combination between a chess game and a boxing match.” He manipulates the surface of his works by marbling, splattering, and smearing thick, fluorescent acrylic paint in an urgent, spontaneous manner. His paintings have an internal logic, in a similar manner to American artist Tomory Dodge. Having exhibited at Rooster Gallery in New York, Egbert Baque Cotnemporary Art in Berlin, and Espacio Atlantico in Vigo, among others, Hortal continues to live and work in Barcelona, Spain.